I had no intention of buying anything from MAC's holiday collections. I'll admit that I used to get all caught up in them, but then MAC started putting out more and more limited edition collections throughout the year and adding more products to the holiday line and I just got overwhelmed. This year, though, I got suckered into buying a few items. They just caught my eye, I guess. And I'm actually really happy with the products that I bought. The first item that drew me in was the Extra Dimension Eye Shadow in Stolen Moment. The Extra Dimension shadows are supposed to be a liquid-powder formula with prismatic reflections that give them a metallic finish. 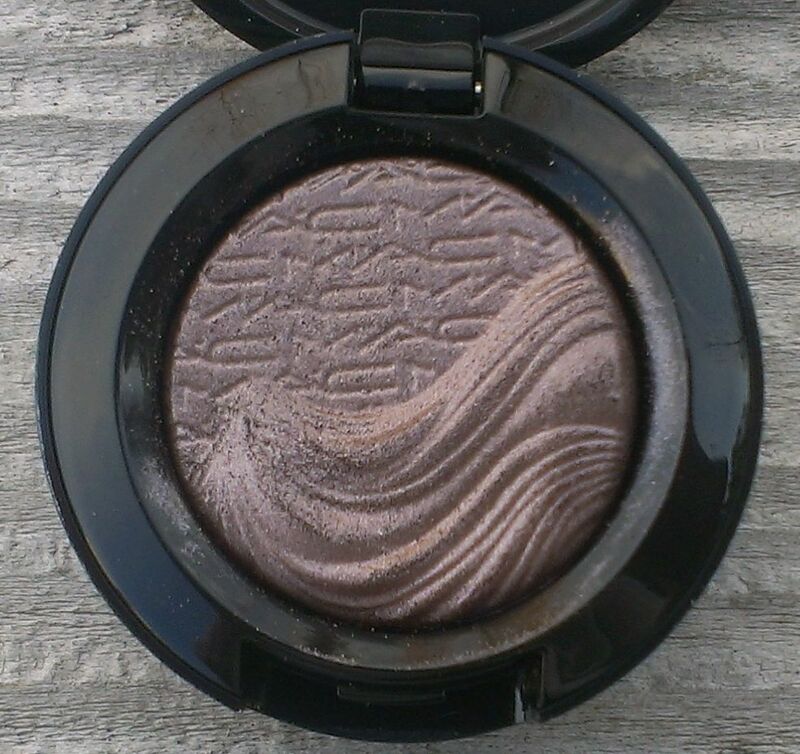 Stolen Moment is a dark taupe shade, one of my favorite types of colors for eye shadow. This one is particularly pretty, with its subtle purple and gray undertones. The formula is lovely too. It's smooth and easy to blend. 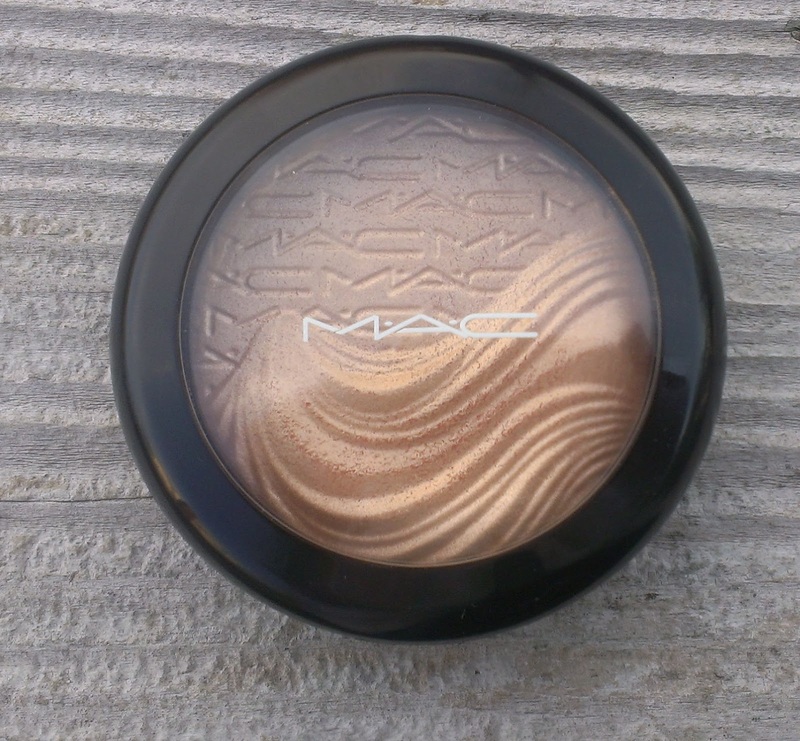 MAC claims that it lasts up to 6 hours - it lasted more than 8 on mine, but I always wore a primer underneath so I'm not sure how it would hold up on its own. 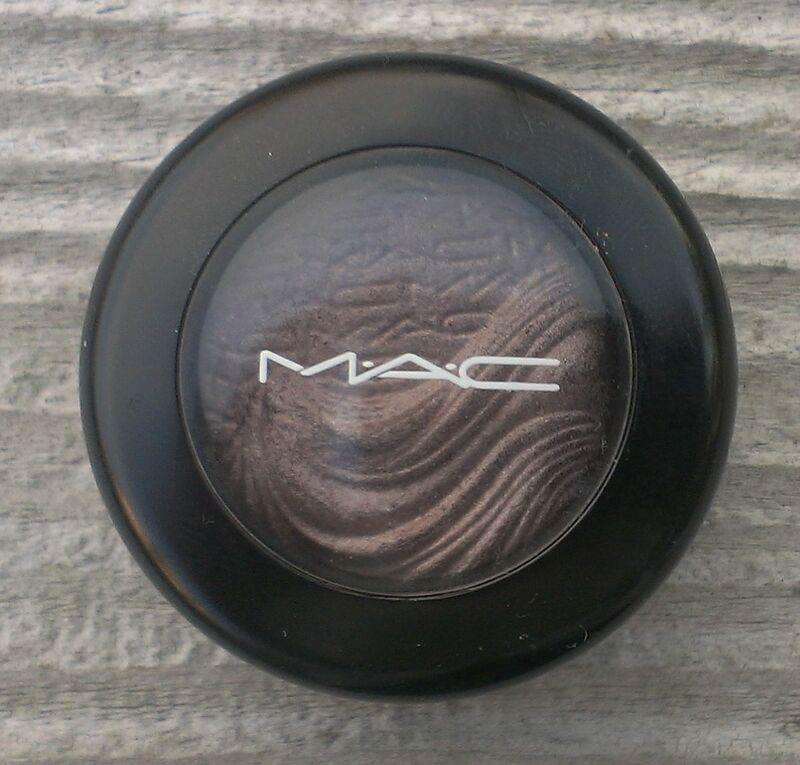 After I bought it, I started to worry that it was going to be too close to MAC's Satin Taupe shadow, another of my favorites. Fortunately, while they look similar in the pan, they're actually different. Satin Taupe, which I've always thought of as slightly purple, has more of a golden brown tone compared to Stolen Moment. 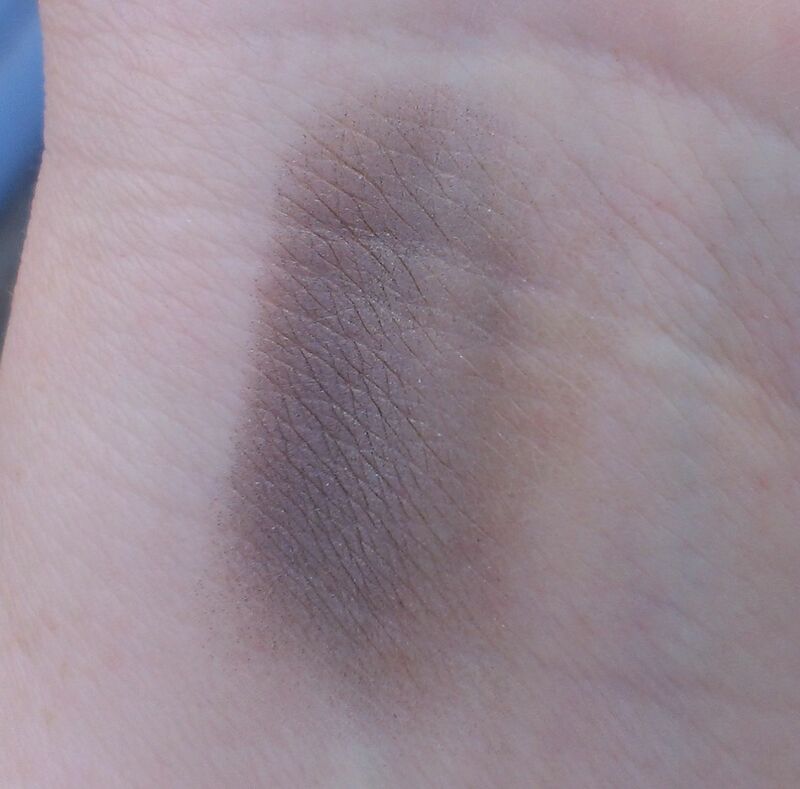 I've used Stolen Moment exclusively in the crease (it looks really gorgeous when paired with a warm pink or peach on the lid), but I think that it could look good on the lid for a smoky look. I'm going to give that a try one of these days. 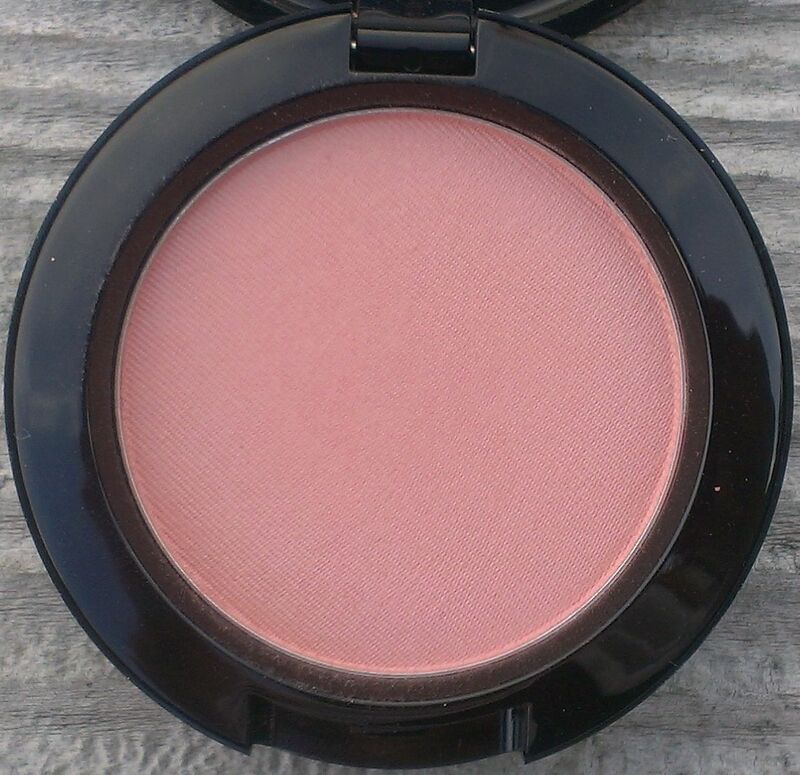 The next product that caught my eye was the Glamour Daze Powder Blush in Easy Manner. 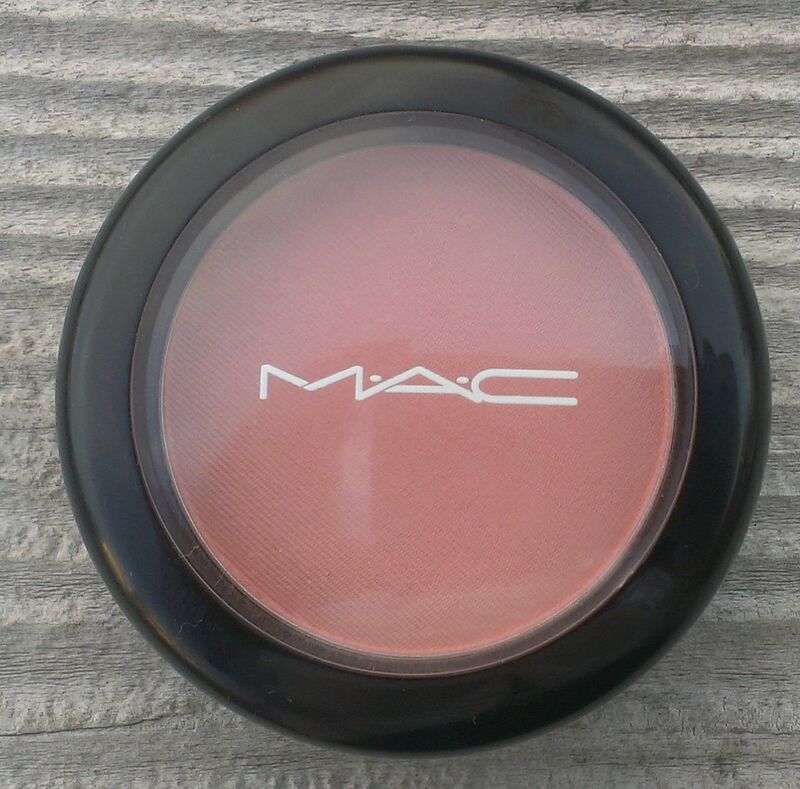 It's no wonder that this one got me - it's a pretty peach shade with a nice satin finish. You know me. 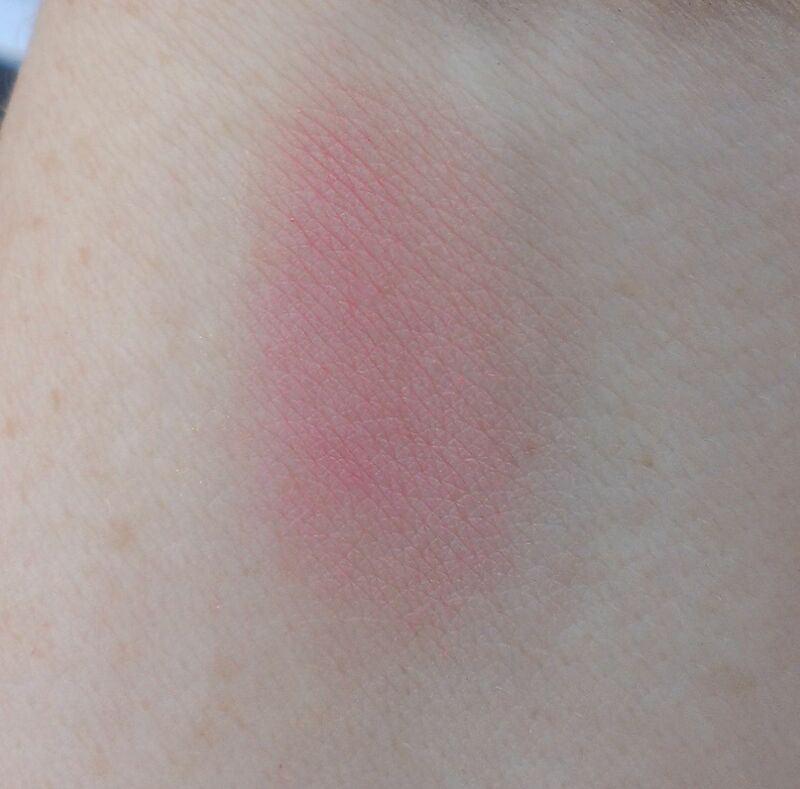 I've never met a peach blush (or lipstick or eye shadow...) that I didn't like. 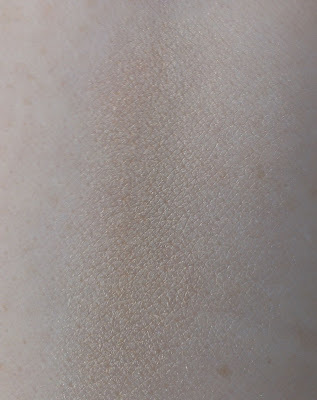 This one is gorgeous - so nice and natural when blended into my fair skin. 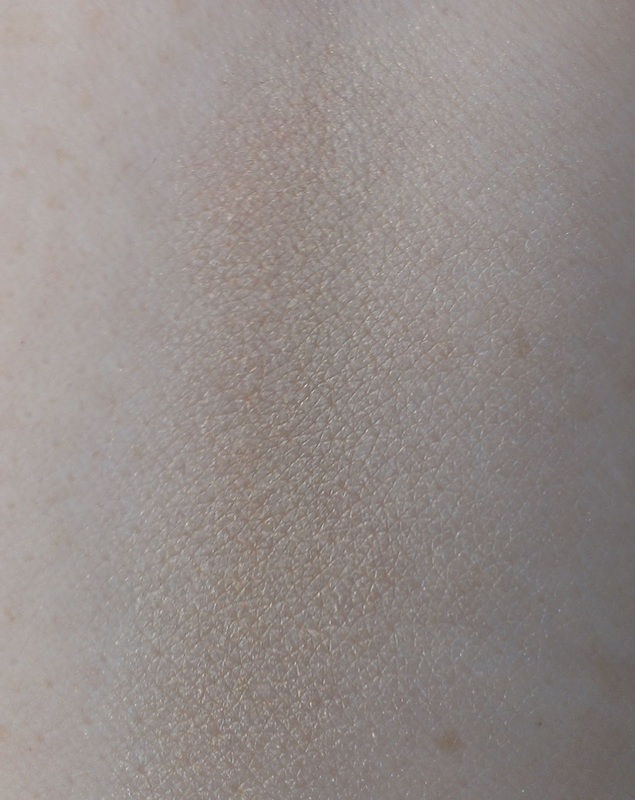 If you have a darker skin tone, though, it's totally buildable so I think it would work well too. Just like with Stolen Moment, once I bought Easy Manner, I started to worry that I had a shade just like this in my collection already (or three or four, really.) In particular, I thought that it might be very similiar to Legendary from the Marilyn Monroe Collection. 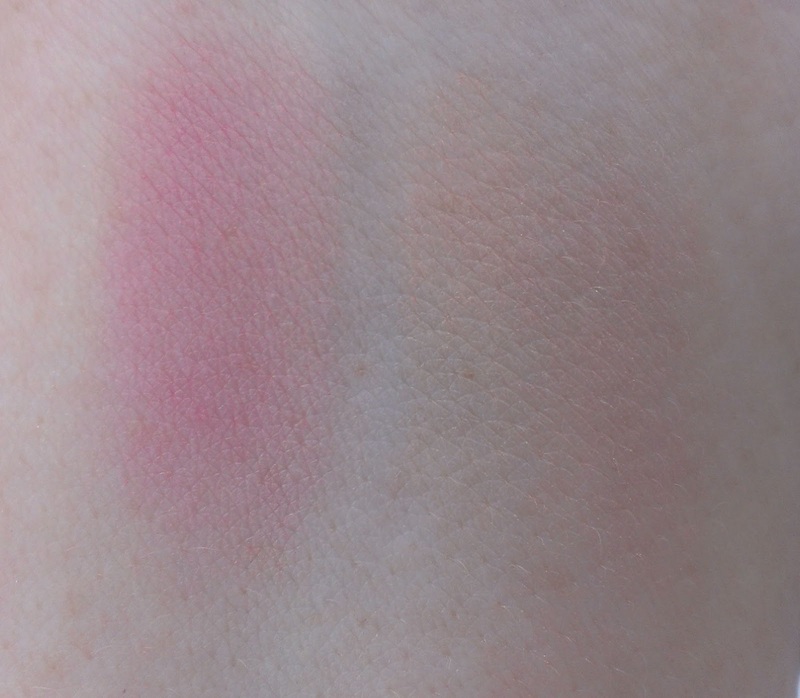 Once again, while the blushes appear similar in the pan, they are actually pretty different. Legendary is lighter and Easy Manner seems to have some pink undertones. The final item that somehow wound up in my collection was the Extra Dimension Skinfinish in Whisper of Gilt. I am obsessed with highlighters since I'm always trying to get a little extra glow for my skin. Like the Extra Dimension shadows, this Skinfinish is a liquid-powder formula that's supposed to be highly reflective. I've got quite a few of the traditional Mineralized Skinfinishes, and while they're beautiful, they're often just too glittery for everyday use. This formula is more shimmery than glittery, if that makes sense, so the result is a soft, pretty glow instead of disco ball shine. Whisper of Gilt is a light golden color with some peach undertones. It does a beautiful - but subtle - job of warming up the skin. I think it will be a perfect complement to holiday looks. It looks like most of the collections are sold out on the MAC website, but if you're interested in any of these products, you might check your local store or counter and see if they have any in stock. I also purchased one of the Fabulousness Eye Holiday Eye Kits, but I thought that it deserved a post of its own so keep an eye out for that in the next day or so. Did you purchase anything from MAC's holiday collections? What are your favorite items? I love that blush!! The colour looks like it's right up my alley.. Also, I've been thinking about getting that extra dimension skinfinish BUT I've been lusting over Mary-loumanizer for quite some time.. Recommendation for my dilemma??? 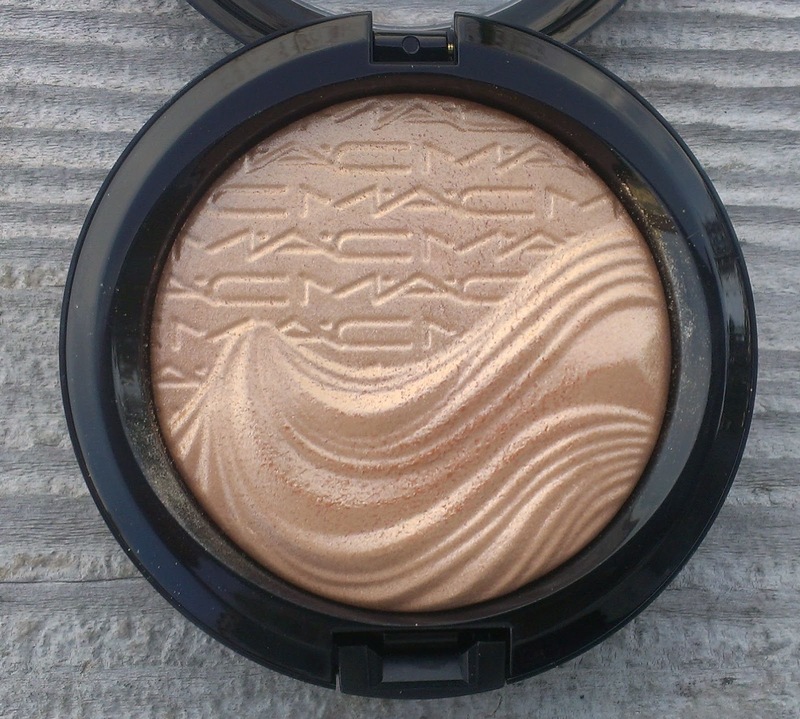 As for the highlighter dilemma, I'm probably the last person you should ask since I'll just tell you to get both. 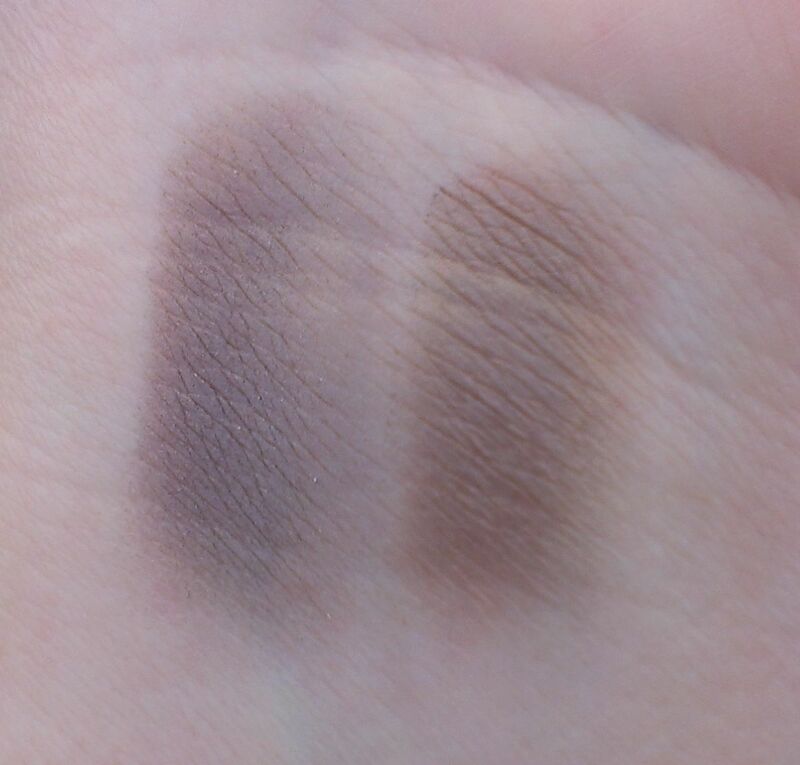 :P Seriously, though, they're extremely similiar - Mary-Lou is a bit lighter and more golden in tone while Whisper of Gilt is a tad darker and has subtle peachy undertones. If you have lighter skin, I'd probably say go with Mary-Lou. If you have medium or darker skin, Whisper of Gilt might be better. The Balm Is Back on HauteLook Tomorrow!